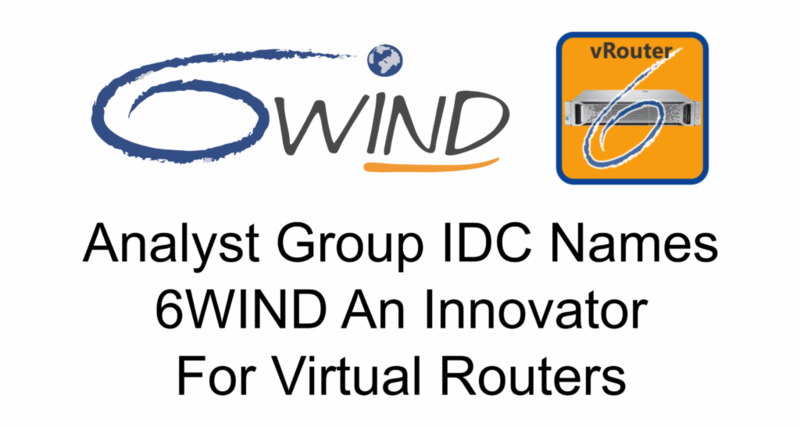 IDC published its Virtual Routers Innovators Report. 6WIND’s vRouters were recognized for a variety of deployment options suitable for high performance use cases including BGP and core routing, IPsec VPN Gateways, CG-NAT and BNG. Scalable Performance: Up to 12 million packets per second per core of IP Forwarding, 18 Gbps per core of IPsec, up to 1 million routes and 100,000 IPsec tunnels. Performance scales with the numbers of cores and hardware advancements, allowing customers to move from 1G to 100G without redesigning their networks. SourceForge published a 6WIND Q&A on The Role of vRouters in Network Performance. Join our vRouter Webinar on Scalable VPN Gateways for SD-WAN. Wednesday, August 29, at 9:00 am Pacific / 6:00 pm Paris time.